UDP is used for all communication, both onboard and over the space/ground link. The rest of this overview is broken into onboard and space/ground sections to give an example of what to expect from these communication mediums. These descriptions will not cover every possible use case, but you can also come talk to us on Slack if you have additional cases you would like to know about. Onboard the spacecraft, most communication is centered around mission applications. 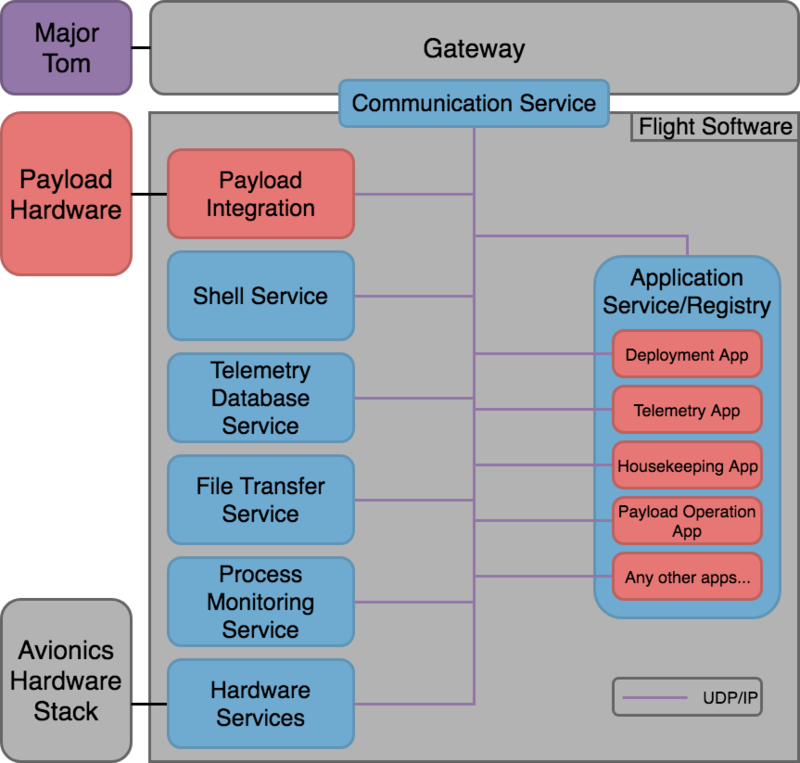 Mission applications use Graphql over UDP for controlling hardware services and payloads to change the state of the spacecraft or execute operations. Mission applications get all of their data directly from the hardware services, to ensure they have the most up-to-date information to make decisions. Typically, a telemetry application will fulfill the role of polling all the services to generate the health and status beacon and log data into the telemetry database. 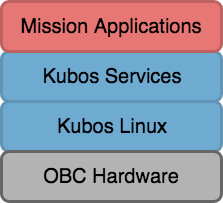 There is no other onboard communication that is required by the KubOS system. The communication service is responsible for maintaining the space/ground link. This service provides UDP passthrough so the details of the radio link (packetization, the encryption, etc.) are transparent to the onboard services. The usage of this UDP passthrough over the space/ground link is governed by two major use cases: nominal operations and error recovery. These are just examples of nominal communication. The core function of the communication service is providing a UDP passthrough, so a mission operator or flight software developer can really use it in any way they see fit.